Thanks to some new pools submitted by swimmers like you, Swimia.com is growing in the day-to-day number of stored pools. Please don't hesitate to contact us when you discover any Aruba Swimming Pool with inaccurate or incomplete information. 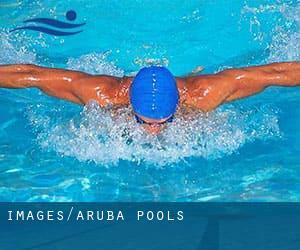 Going to a Aruba Swimming Pool is increasing specially within the elderly population sectors of Aruba, who have suffered some type of muscle or bone damage. 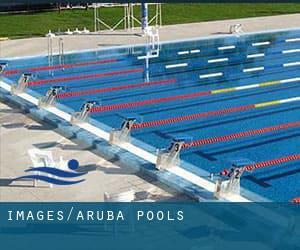 Regular users of the following Aruba Pools told us one of the most important thing about swimming is always to manage your breathing. Occasionally this is not achievable simply because we raise the neck to breathe along with the body is just not aligned. To avoid this, our head need to be aligned with our spine all the time. Please use the contact information provided at every pool profile to check if they're offering aquagym lessons, due to the fact is not so common to see an Aquagym in Aruba. Do you know of any Pools in Aruba that ought to be listed here? Contact us!. Not all countries would be the same, and swimming rules and regulations are changing from one country to the other. So, if this is your initial time looking for Aruba Pools, make sure you contact the premises before you drop by. One of the advantages of outdoor swimming in Aruba could be the possibility to sunbathe throughout the summer time season. Taking it with added care, sunbathing is wholesome given that introduces Vitamin D into the body, so the right option seems to be switching in between indoor and outdoor pools depending on the season. Without a shadow of a doubt, swimming in Oranjestad may be the best strategy to unwind following function. Take a couple of minutes to browse Swimia's catalog to find a Pool in Oranjestad. Let us tell you a secret to switch off when you're in Arasji: just choose a Swimming Pool in Arasji and plunge into the water! There's no more effective strategy. Holding an estimated population of 40.627, Babijn is one of the most important cities in Aruba. Check all of the Swimming Pool in Babijn and its surrounding area. Dr.Horacio E. Oduber Boulevard 4 , Pos Abao . This sports center offers 80 feet, 6 lanes, Outdoors. Contact data for this Pool which include phone number and e-mail address are number.